Earn credits through articles you've already read in our Massage Professionals Update e-newsletter. Tips for maintaining essential oils. Essential oils for digestive complaints. 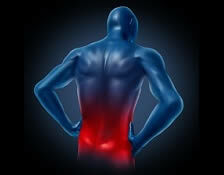 The use of essential oils for easing the discomfort of sciatica. Using aromatherapy as an alternative to conventional head lice treatments. Five Tips on Essential Oil Maintenance - Although essential oils typically lack an expiration date stamp, their effectiveness can diminish with element exposure and time. However, therapists can easily learn how to prolong the life of their oils and detect when they are no longer viable. Essential Oils for Digestive Ailments - Learn which essential oils used during a bodywork session can help alleviate many of the most common digestive complaints. Essential Oils Assist in Reducing Sciatica - While the term sciatica is still used occasionally by the general public to describe leg pain that radiates down from the hip, it is not a term used as much in modern day health care, because the many possible causes of this annoying and sometimes debilitating pain are attributed to several origins other than sciatic nerve impingement. Learn how the use of essential oils can help to ease the discomfort of this age-old complaint. Aromatherapy: Effective Treatment for Head Lice - Being educated about the irritating parasites you and your family members may bring home from work or school is the best form of protection. See how aromatherapy can offer a unique and effective way of treating unwelcome head lice. I am a Certified Aromatherapist and the materials and test were very well written and concise. There is always more to learn about the extensive forms of Essential Oils. I highly recommend this course to anyone interested in Aromatherapy. This was a good starter course. It did enhance my understanding of some of the effective uses of essential oil application. Great starter course! Affordable, informative, easy to understand and fit into a busy schedule. There is so much to learn about using essential oils. Excellent, relevant information on most common ailments. I will definitely be taking another course on essential oils. Great, easy read with retain-able knowledge! The class content was basic but very important re: oil storage, oxidation, & blending oils for therapeutic benefit. Very convenient and easy to understand material, AND learned valuable information. Couldn't be easier than this. Thanks. I would recommend to any massage therapists for update and future knowledge. I found this interesting and helpful and would recommend it to others. The online course materials were clear and organized and the test covered an appropriate level of detail/subject matter. Thank you! Good material and helpful knowledge. Very interesting course. The course answered questions, that I did not know the answer. I enjoyed this course! I learned new information that I can use for my full time job as an educator as well as for my practice. Learned new thoughts about essential oils and the importance in my work. I appreciate how well stated all the information is. thank you! I thoroughly enjoyed doing this reading... It was very interesting. Very informative - money well spent. I found this course particularly useful as a refresher for blending oils as an added benefit for clients during massage! The course provided me with information I didn't receive in school. Great information ~ easy to follow and easy to apply in my daily practice! Enjoyed it a lot!! Very informative. Lots of good information that I can certainly adopt for my own practice as a LMT and for my family. Content is great reference material. Loved this course, my practice and my family will benefit greatly from this new information. Great information. Really learned a lot. Good information & interesting course.